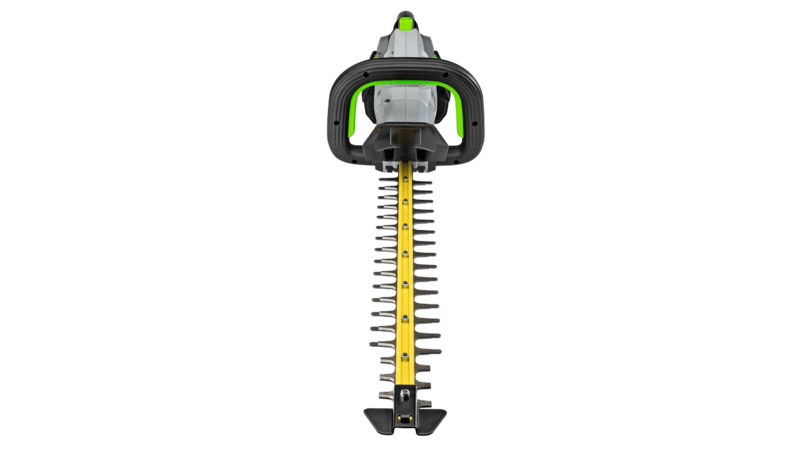 The world's first cordless hedge trimmer with a 1" cut capacity! The EGO POWER+ Hedge Trimmer has a high-efficiency brushless motor which allows for longer run times and lighter weight with 24" dual action, hardened steel blades for precise, clean cuts. 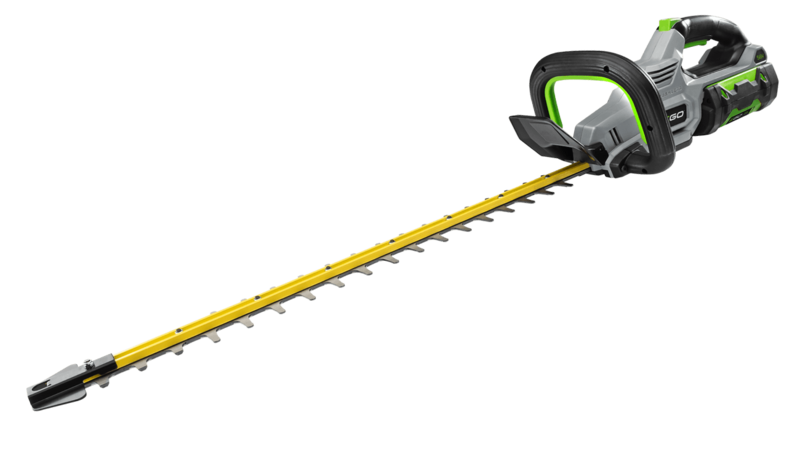 The world's first cordless hedge trimmer with a 1" cut capacity! The EGO POWER+ Hedge Trimmer has a high-efficiency brushless motor which allows for longer run times and lighter weight. The 24" dual action, hardened steel blades for precise, clean cuts. The trimmer is also equipped with fully serviceable blades to make sharpening quick and easy. Delivering 3,000 strokes per minute to get the tough jobs done faster. Compatible with all EGO POWER+ ARC Lithium™ batteries (available separately) to deliver Power Beyond Belief™. Have 16 hedges in my yard and it cut my time almost in half. Incredible power and runtime for a battery-operated machine. Can I sharpen these blades without replacing them? Yes, instructions on how to sharpen can be found in the owner’s manual. What is the best lubricant suggested for use on these blades? Any lightweight machine oil is acceptable for use to lubricate the blades. There is an included blade cover, however, we do not offer a case for this tool currently.